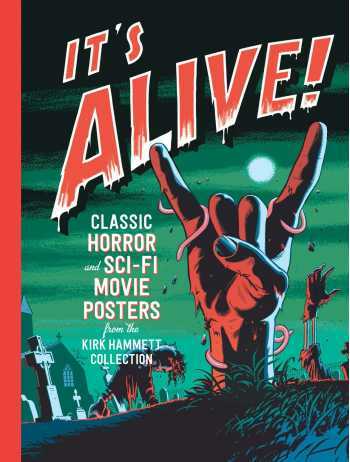 One of the world's premier collections of horror and sci-fi movie posters amassed, not altogether surprisingly, by the dark mind of Metallica's lead guitarist, Kirk Hammett. Before Kirk Hammett assumed the heavy metal mantle of one of the most successful and beloved bands in rock history, he was a geek for the imaginative universe of horror. This generously illustrated book highlights the finest examples from Hammett's personal collection--an astonishing trove of horror and sci-fi film posters that span the history of the genre. The guitarist credits his musical force to a lifelong fascination with the gothic fantasy developed in these films and their original posters. In this volume, several intriguing essays cover the history of the film poster, the brain's response to fear, and Hammett's own contributions to the world of the macabre.